The Regional Rivers Plan, completed in February 2017, helps guide the various uses of our rivers, while ensuring the health of each river is protected. 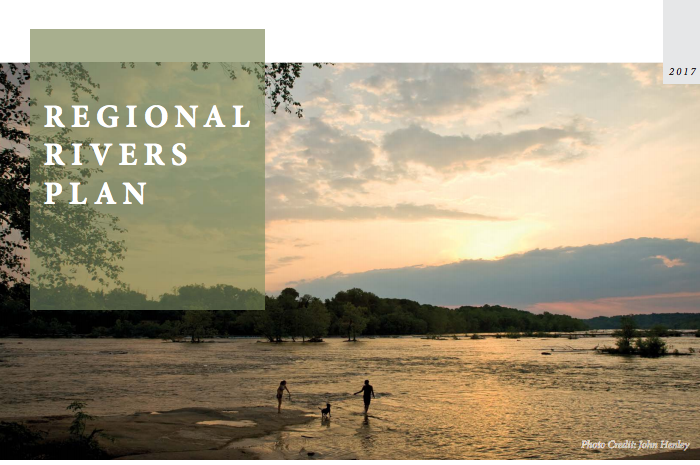 This plan makes recommendations to expand and enhance public recreational access, encourage business development, and promote tourism on the rivers of the region. The plan presents both regional and local recommendations, as well as steps for implementation. When fully implemented, the rivers of the region will be centerpieces for entertainment, recreation, and commerce. Learn more on our initiatives page.